I am sure that everyone knows Elon Musk and another thing is almost everyone knows the CEO of Tesla is Elon Musk. 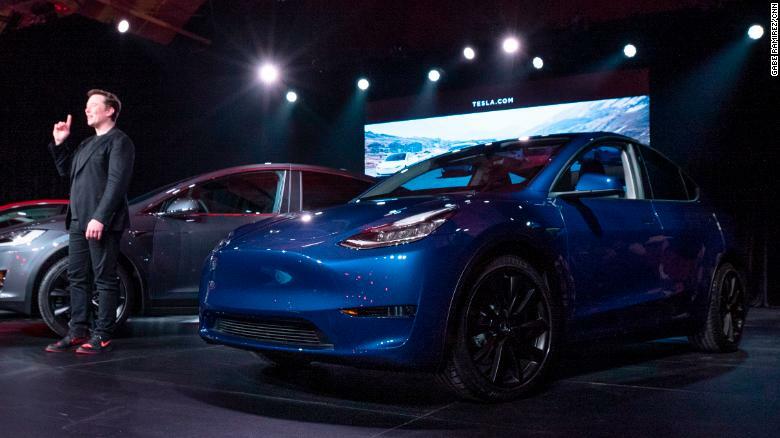 Elon Musk recently unveiled the new Tesla Model Y. It is like mid-size 5-seater SUV and the price for this car is starting from 39,000 and gives out 230-mile battery range. Tesla will also sell the expensive Model Y versions and the customers who are buying this car should wait until 2021. One of the new things Tesla added to the Model Y is Tesla’s owns Autopilot software. And the other new feature is it is a glass roof on the top. And Elon Musk is expecting that Model Y should sell more than than the Model 3., Musk is also expecting to drive the model Y to Mars and Musk also build the charging stations in Kazakhstan. As for the cargo space Musk included that Model Y gives you 66 cubic feet space, which is comparable to the Jeep Grand Cherokee. But also there are many questions that remain unanswered about Tesla’s Model Y production and Tesla revealed that it will likely start its production at their Gigafactory in Nevada. But also at this time, there are no mistakes on their own Tesla’s autopilot software on Tesla’s model Y. One reason that they make sure that they are responsible for their own Tesla’s autopilot software because there were few crashes on Tesla’s autopilot software. Musk also mentioned that Model Y would have the option to ride like a sports car and there were also test drives that are done by Tesla.